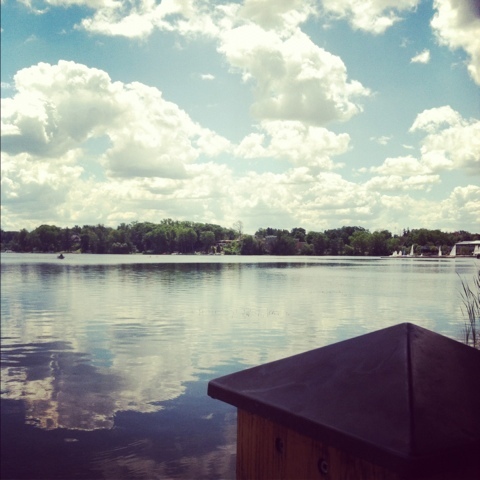 What a beautiful day in my hometown of East Grand Rapids, Michigan! In honor of this gorgeous weather, my mom, sister, and I decided to have lunch on Reeds Lake at one of my favorite restaurants, Rose's. The perfect day for dining on the deck! 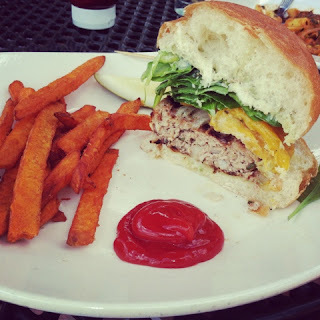 Delicious turkey burger with sweet potato fries.